We have recently noticed an increase in the number of urgent cases we receive. The patients served by our partners do not usually seek out care until they are very ill due to the long distances they must travel. By the time they encounter our partner clinicians, a telemedicine consultation is needed quickly, and we are thankful to have a dedicated team of volunteers who work hard to meet that need. In August, 30% of our cases required Family Medicine expertise, 25% required Pediatric volunteers, and 20% required guidance from Internal Medicine physicians. Additionally, Infectious Disease, Dermatology, and Emergency Medicine physicians offered their thoughts on a variety of cases from Kenya, Haiti, Cameroon, and Ethiopia. The Addis Clinic receives referrals every day from community health workers, nurses, and physicians serving their communities across the globe. This month we are happy to introduce you to Eli Chacha Thomas, the founder of Chang Medical Clinic. Chang Clinic opened its doors in November 2017 and is located in a rural locality of Opapo which is in Ringo, a sub-county of Migori County, Kenya. 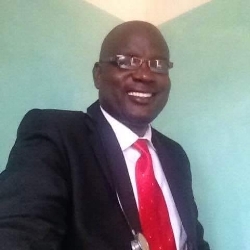 Mr. Thomas is a clinical officer with a Diploma in Clinical Medicine and Surgery, and also holds a diploma in Medical Laboratory Technology. When asked why he opened Chang Medical Clinic, he replied, "Well, I decided to start up this facility for I saw the need the people had. Opapo is a remote place and the nearest public health facility is over 15km away. Children and mothers now have a place to run to for medical attention." In discussing the incorporation of The Addis Clinic & asynchronous telemedicine into his patient care, Chacha says, "I can't mention enough, but The Addis Clinic telemedicine works for me perfectly. Our patients now get the services of specialized doctors without having to go to these big facilities which are expensive. I have seen my clients responding well to the treatments recommended by The Addis Clinic doctors. We also have learned a lot from the doctors as well." The Addis Clinic is excited about our partnership with Chang Medical Clinic, and looks forward to expanding our relationship in the coming months! For two days, an 8-year-old boy complained of fever, shortness of breath, fatigue and joint pain. When he showed no signs of improvement, his family traveled an extreme distance to have him seen at the nearest clinic in their region of rural Kenya. The clinical officer assigned to his case completed some initial assessments and found him to have an elevated heart rate, as well as a lower than normal hemoglobin level. Knowing that this young boy needed more advanced care, he reached out to The Addis Clinic through our asynchronous telemedicine platform for a connection to a pediatrician. The clinical officer also personally messaged us and asked for the case to be assigned quickly, as he knew this boy needed urgent intervention. The Addis Clinic is lucky to have approximately one dozen pediatric-trained physician volunteers on our team, and we knew exactly who would be great for this case. This volunteer responded within just a few hours, and his initial belief was that the child was suffering from acute chest syndrome, a very serious pulmonary complication of sickle cell disease. Even in places with vast medical resources, this condition can be very difficult to treat. Knowing that, and understanding the restrictions posed by care in a small rural clinic, the physician volunteer provided basic recommendations as well as details on how to vary care based on the child’s progress during the course of his illness. The patient was admitted to the clinic for close observation and provided with rehydration, adequate pain control, respiratory support, and antibiotics. Testing did show that the boy was positive for sickle cell disease, and throughout the week the clinical officer and pediatrician exchanged messages discussing the patient’s condition and care. Not only did these messages include information on how to manage the current situation, but also how to prevent or decrease the risk of future complications due to his chronic condition. The immediate attention of his local clinician and the detailed guidance provided by our physician volunteer resulted in a complete recovery from this acute illness. This very sick child never required an expensive or logistically challenging transfer to another facility because the pediatrician assigned to his case was able to successfully guide the clinical officer through a difficult scenario. Empowering local clinicians to provide appropriate care is why The Addis Clinic exists - every day our consultations bring hope, healing, and equality to those who need it most. July brought The Addis Clinic cases from Ethiopia, Kenya, and Cameroon. Many were submitted by long-established partners, while we also received several referrals as a result of new partner relationships cultivated during our Executive Director's visits to Addis Ababa in Ethiopia and Nairobi and Migori County in Kenya earlier this month. 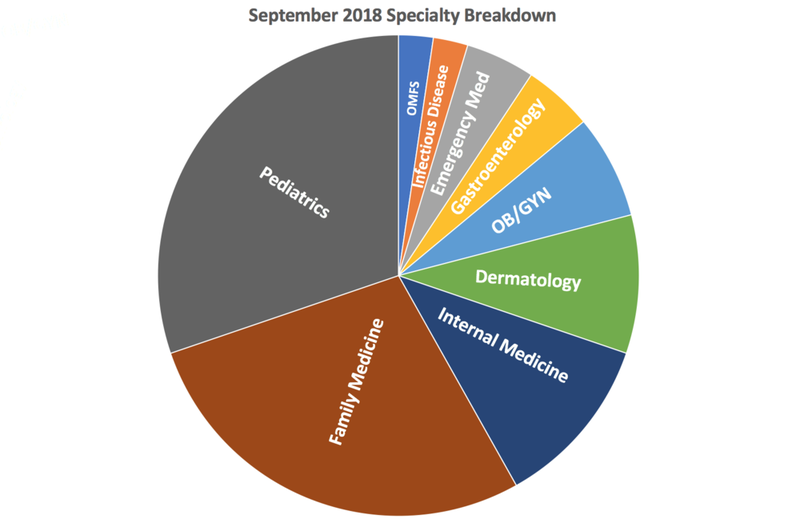 While we continue to find that the many of our cases require primary care specialties such as family medicine (25% this month); and pediatrics (17% this month), we also had increased need for specialty consultations from physicians in fields such as pediatric urology and nephrology which you can read about in this month's case spotlight. Sometimes, as the saying goes, “It’s all about who you know.” That sentiment proved true this month for one girl in Ethiopia whose referral to The Addis Clinic started with an email from a woman in Tennessee to our founding physician in Pittsburgh. This woman and her husband support an organization in rural Ethiopia serving impoverished children and she heard about The Addis Clinic through a mutual contact working with our longest standing partner, Ethiopia ACT. Once the case made its way from our founder to our clinical team, we learned more about this girl in great need of specialized medical care. In their email to us, these concerned supporters told us how during a routine medical exam, the eight-year-old was found to be suffering not only from malnutrition but many other medical problems. Further testing revealed that she was born with only one kidney and that it was failing. Unsure of where to turn next, they hoped that The Addis Clinic could facilitate guidance and advice from specialists most suited to her case. It became clear that this young girl would need the expertise of a nephrologist and we did not have one on our team of volunteer physicians. We immediately put out the call through our supporters and volunteers, and they delivered! Within hours we had three nephrologists contact us with a willingness to assist. Simultaneously, we worked with this girl’s caregivers to officially bring their organization on as a partner of The Addis Clinic and trained their staff on how to submit an asynchronous telemedicine case. It took many emails and conversations, but by the next morning, we had this new partner set up in our telemedicine system, while our new volunteer nephrologist was onboard and prepared to receive her first case. As timing would have it, most of this transpired while our Executive Director, Michelle Turner, prepared to fly to Ethiopia and conduct site visits. Within the first few days of her arrival she assisted in referring the case and even more wonderfully, she was able to meet the sweet girl who we are so grateful to help. In the U.S., our Clinical Operations Manager, Meghan Moretti, connected the case with our volunteer nephrologist, who immediately responded with her thoughts and recommendations. These included the belief that a pediatric urologist should also add his perspective. Thankfully, The Addis Clinic is already connected to a pediatric urologist who is happy to lend his expertise when needed, and he was quick to do so on this case. Now that this girl’s caregivers have the professional opinion and advice of two very specialized physicians, they are much better informed to navigate and consider her medical options. We and our volunteers will continue to support them during this overwhelming and difficult time. The ability of The Addis Clinic to connect with a new partner and bring on a new and very specialized physician volunteer all within a matter of hours took the quick work of our entire team. We are grateful that so many people share in our passionate belief that telemedicine can successfully connect the world’s most underserved individuals with skilled and appropriate medical care. Dr. Ann Colbert is a family medicine and palliative care/hospice physician who is currently based out of Kentucky. Dr. Colbert has served as a family medicine specialist volunteer for The Addis Clinic and has also referred cases to The Addis Clinic as the medical director for Hillside Health Care International in the Toledo District of Belize. She has a unique perspective as both a specialist and a referrer, and we are excited to share her experiences with The Addis Clinic! Q: As a practicing physician, you have a very busy schedule and many responsibilities. What motivates you to spend extra time to consult on cases for other health workers far away? A: First, consulting on the cases takes relatively little time. Second, with each case history, I am reminded that both life and medicine are very different and very much harder in these other places. Q: How have you used your specialty so far in your work for The Addis Clinic? A: As a specialist volunteer, I have mostly answered primary care management questions. As a referrer to The Addis Clinic while in Belize, I used dermatology, pediatrics, gastroenterology and orthopedics. Q: Why do you think an organization such as The Addis Clinic is needed? A: Using technology makes the most sense in addressing the disparities of unequal health care throughout the world. Having traveled internationally to work as a physician, I see that temporary physician visits are not a permanent solution to providing quality care to remote areas. Using telemedicine, whether within a country or globally, makes a lot of sense to fill the gaps. A: I like being associated with an organization that I can fully support and feel I have gained a new perspective on global health because of my association with the group. Q: Is there one case you remember that was particularly impactful? A: I remember we had a 5-month-old baby in Belize who had been born with bilateral severe club feet and his parents were not able to take him to Belize City for treatment. Our physical therapy director put in a consult and within days she had a complete treatment plan from one of the orthopedics. The consultant had included a detailed description of the Ponseti method with helpful warnings and advice. We were able to start the casting with weekly recasting at home for a few weeks until the child eventually was able to get to the larger center. I saw the baby a few months later and his feet were nearly straight. It was a condition I rarely would manage in the US. Q: What would you tell other physicians considering volunteering with The Addis Clinic? A: That the commitment of a maximum of 3 cases per month is very manageable and if you want to ecologically responsibly help distant patients, this form of global work may make more sense than the short term "mission" trips. This is because The Addis Clinic system can help to build the capacity of a local medical team to provide quality health care in their own country. Q: We know you recently returned to volunteer at Hillside Health Care International, a partner of The Addis Clinic in Belize where you previously served as Medical Director. How was your trip? 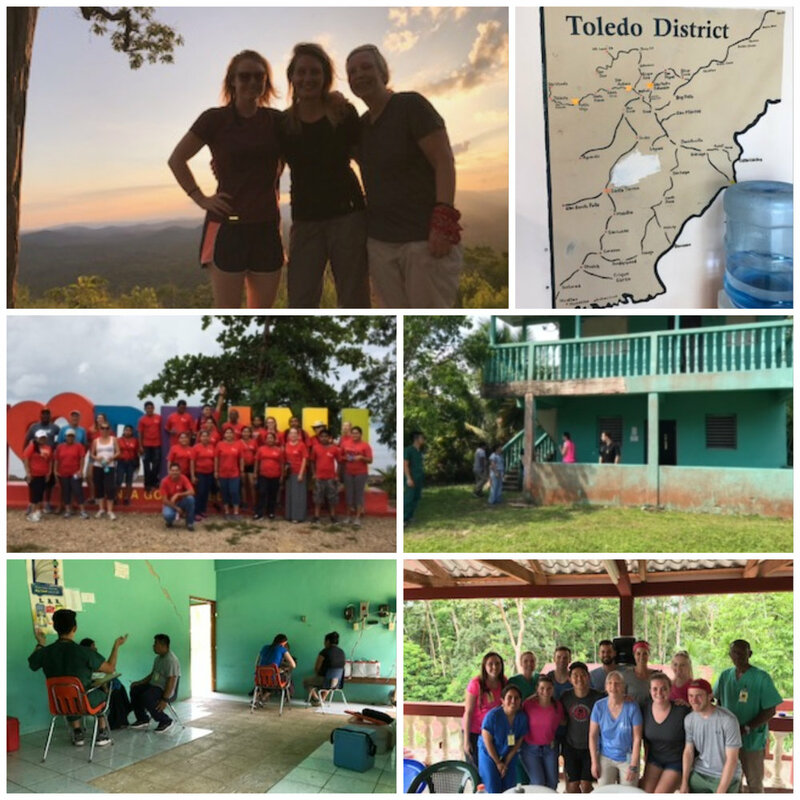 A: I returned to Hillside Health Care International in southern Belize for two weeks in late May of 2018. I went to volunteer as a physician preceptor for the Physician Assistant students who were on rotation at the Hillside Clinic. I had been the Medical Director at the clinic in 2016- 2017 so the trip was a reunion with the staff and many patients. We were quite busy seeing patients both in the permanent clinic and on daily mobile clinics to remote mostly Mayan villages. It was nice to share my previous experience with the students who were in their first weeks of the 4-week rotations. I worked with two physicians from England the first week and we were happy to be able to send at least two cases for dermatology consult through The Addis Clinic and I was able to call up one mother the very next day to tell her what new therapy was suggested. That is what I like about working at Hillside Clinic - getting to know people from all over who either come to volunteer or come as students plus getting to know the Belizean staff who are the constant. I was also able to reconnect with 3 of the long-term volunteers I had worked with and we arranged to camp in a jaguar reserve one weekend next to a mountaintop waterfall. Belize is a beautiful country. Our case spotlight this month comes from northern Haiti. Children often present to their health care provider with abdominal complaints, and these are usually viral, treated with time, rest, and rehydration. However, for parents of children in Haiti, the causes behind vomiting and diarrhea can mean illnesses more difficult to address due to a lack of sanitation and clean drinking water. A community health worker in Haiti reached out to The Addis Clinic with the case of a 10-year-old boy with a 1-week history of vomiting up to four times daily accompanied by a cough. No one else in his home complained of similar symptoms, and he had previously been treated for an infection of worms from which he had recovered. The health worker needed assistance with how to proceed, and we allocated the case to a volunteer family medicine physician practicing in New Zealand. Despite the large time difference between Haiti and New Zealand, our volunteer was quick to respond with detailed follow-up questions and recommendations. 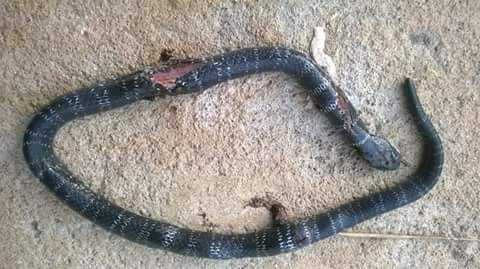 The volunteer believed it most likely that the little boy was suffering from an infection of worms (a parasite living in the intestine), which can sometimes go to the lung and cause irritation leading to a cough. These are usually caught by children through water, food or soil and can be spread through feces. They can lead to poor nutrition and weight loss. The volunteer detailed the appropriate course of treatment for worms and recommended his entire family take the treatment at the same time. This physician provided dosage adjustments based on age range, as well as the restriction of the treatment in the first trimester of pregnancy and in babies less than 1-year-old. This volunteer, by consulting on the case of this one child, addressed the health of his entire family. While the boy had previously been treated in this way, this family medicine physician educated the health worker that it can be difficult to keep the infection from returning. Sometimes, taking the prescribed medication in a preventative manner is the only way. He recommended an interval of 6 months between treatments and even provided resources to the health worker for obtaining the medication from clean water initiatives working in Haiti. The volunteer emphasized the importance of regular hand washing with soap and water, keeping nails short, and how to best avoid contamination of food. Finally, this volunteer provided the Haitian community health worker with a detailed list of warning signs that would signal the patient needed urgent care. The community health worker confirmed his understanding of the plan and will update the physician on the boy's status in a couple of weeks. The Addis Clinic is honored that we were included in the care of this boy and his entire family, and look forward to hearing about his clean bill of health soon! What types of cases do we receive at The Addis Clinic? Take a look at the breakdown from May. In a change from the previous few months, the top needed specialty in May was Dermatology. 27% of our cases required consults from dermatologist volunteers at the Mayo Clinic and University of Pittsburgh as they advised nurses, physicians and community health workers in Ethiopia, Kenya, and Belize on the care of patients presenting with difficult to treat skin conditions. Additionally, we were excited to onboard our first pediatric ophthalmologist this month, and put him right to work on a case sent by a nurse in Ethiopia. The availability of over 22 specialties in our team of remote volunteers ensures we are able to provide expert guidance for whatever type of case is sent our way.